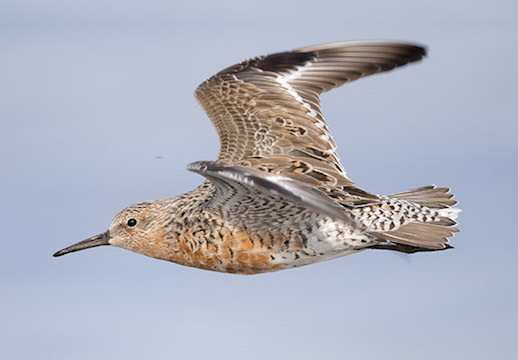 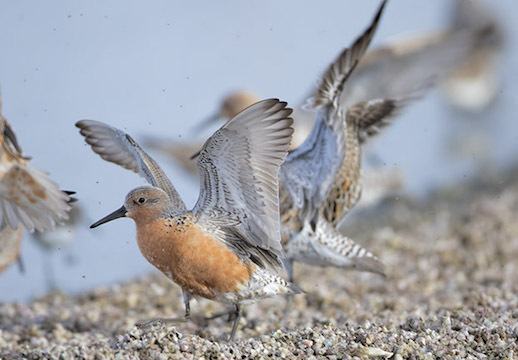 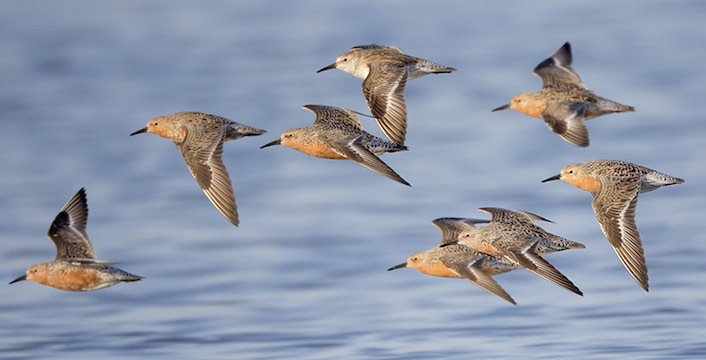 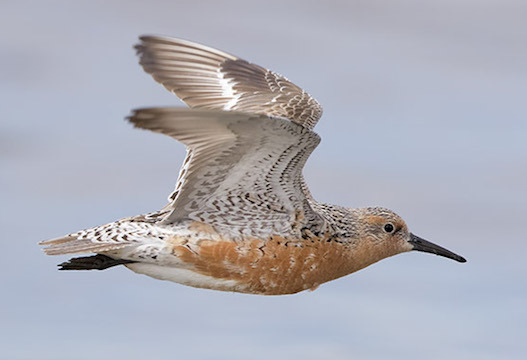 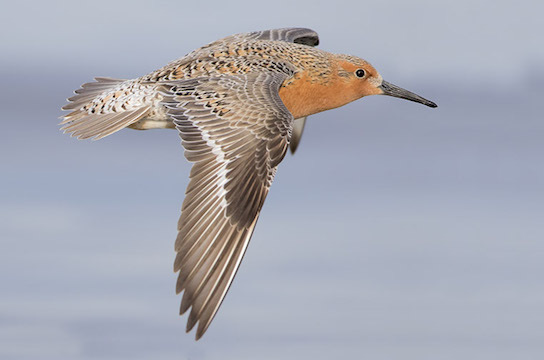 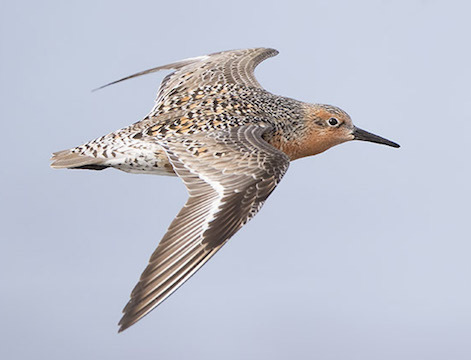 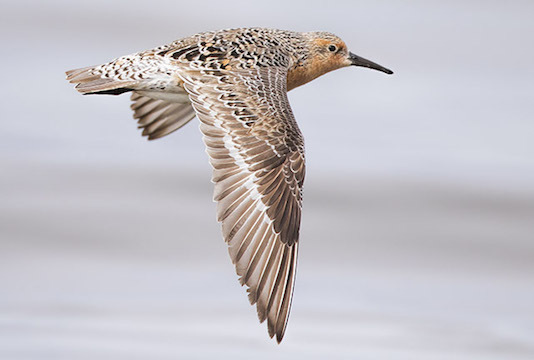 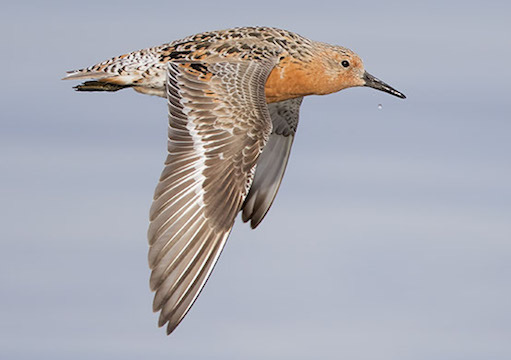 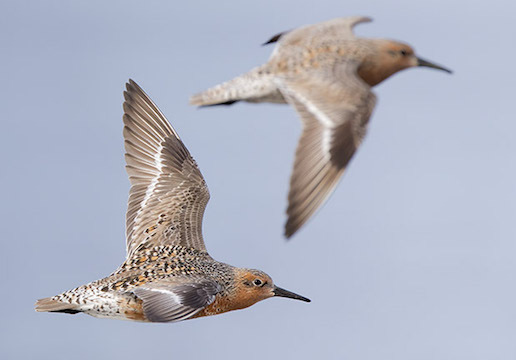 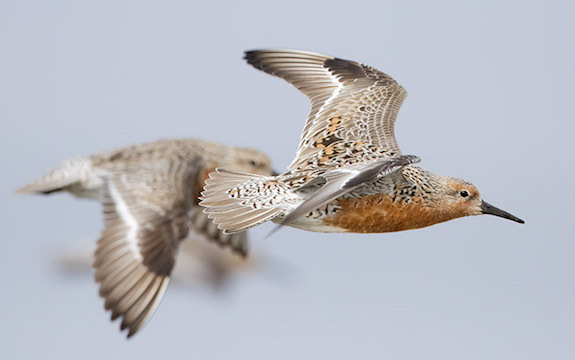 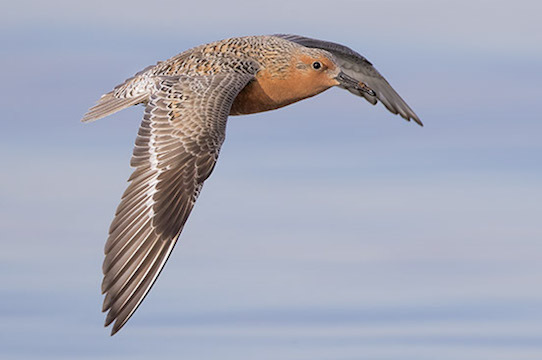 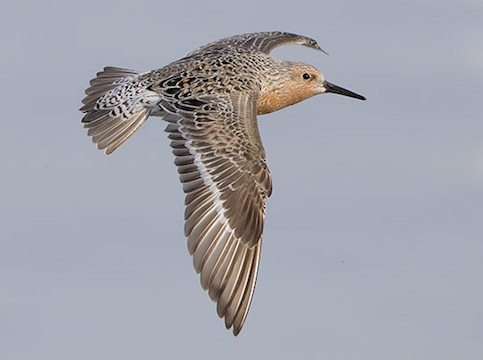 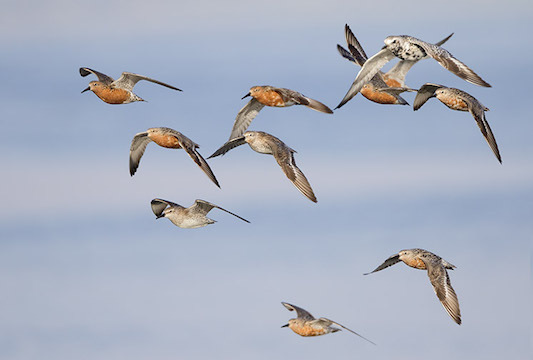 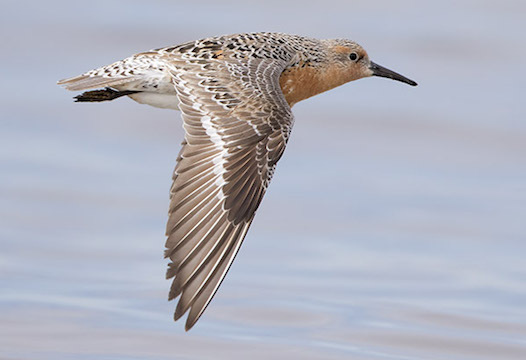 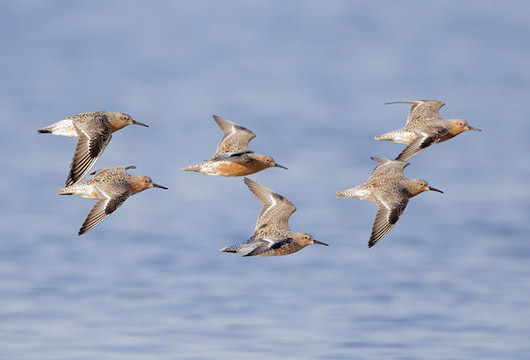 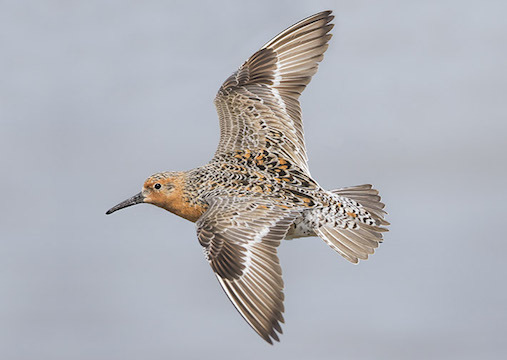 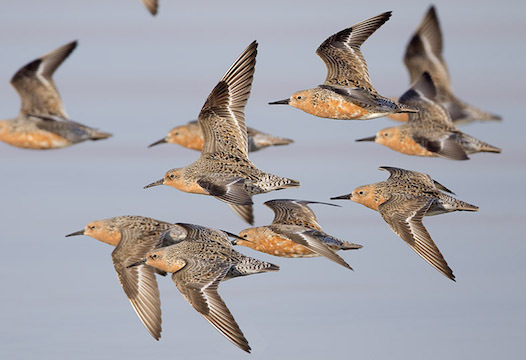 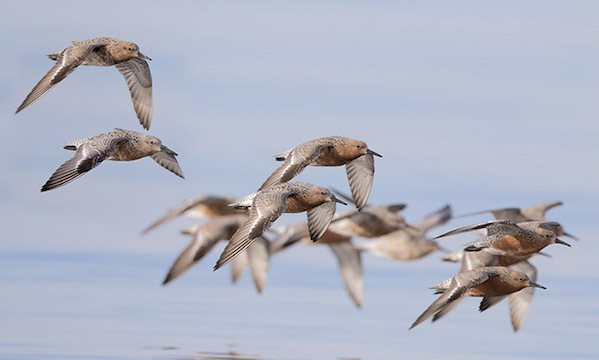 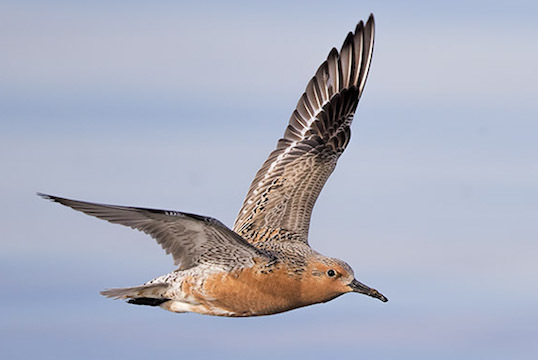 Red knots are medium-sized shorbirds with epic migrations that take them from their high Arctic breeding grounds to Central and South American beaches. 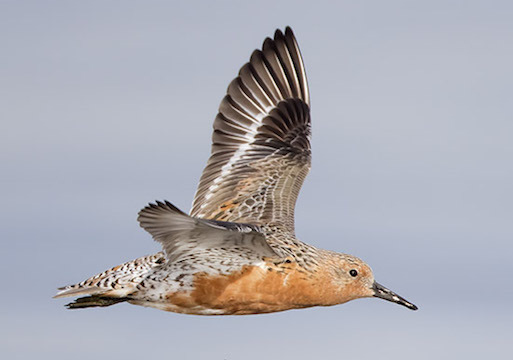 They pass through the continental US during a few weeks in spring and again in late summer and fall, and a few spend the winter. 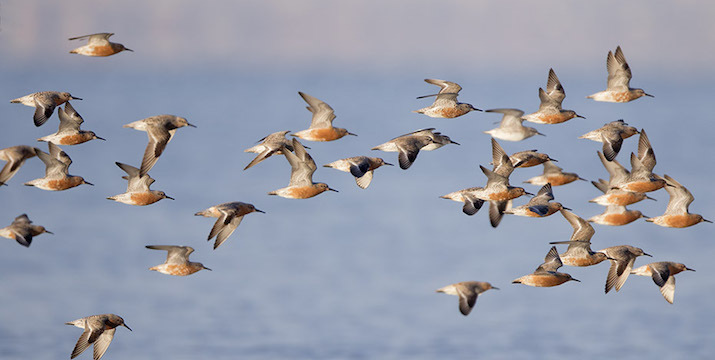 These birds were in various stages of transition between the gray winter plumage and the bright rusty-bellied breeding plumage (photographed in April as they were heading north). 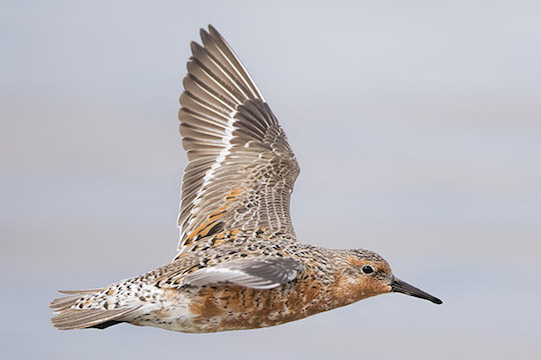 The photos were taken at the Salton Sea, in far southern California. 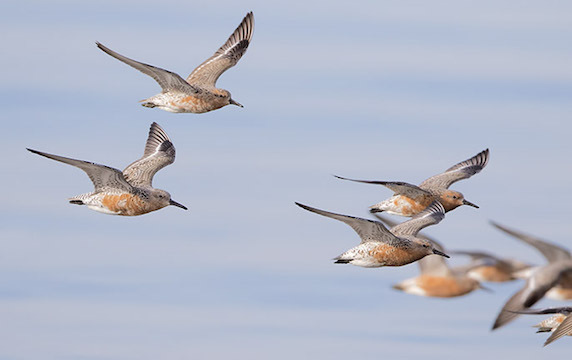 Some color-flagged birds in this flock were banded in Baja California, Mexico or Grays Harbor, Washington. 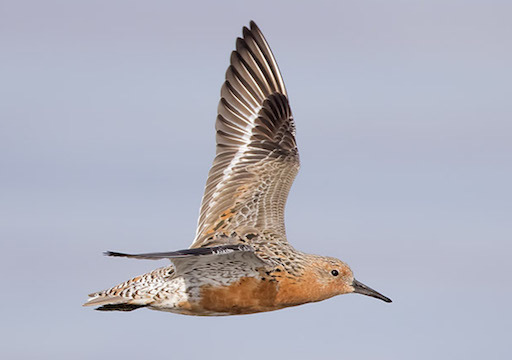 Other flying knots are here, pictures of (mostly) breeding-plumage red knots are on this page and here; mostly winter birds are on this page.